Inspired by The Great Exhibition of 1851, Bayswater W2 is a new Victorian and Edwardian inspired bathroom brand available exclusively through distributers Ideal Bathrooms. 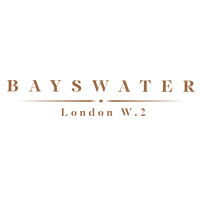 Bayswater W2 offers a complete bathroom solution including porcelain, furniture, radiators and fittings focussing on affordable quality products. Bayswater W2 products are both aesthetically and technically inspired by this historical period of innovation – mixing traditional styles with modern technology. Each piece has been carefully curated and developed by a team of industry experts. Since the launch in 2018, the Bayswater W2 brand has been embraced by retailers and there are over 140 displaying retailers across the UK - and there are more exciting times ahead in 2019. The stunning furniture range has several new additions in our signature colours and a new January 2019 brochure will be sure to provide instant inspiration. Our new roll top showering bath offers a luxurious solution in smaller spaces. Bayswater Bathrooms are available exclusively through Ideal Bathrooms in the UK.